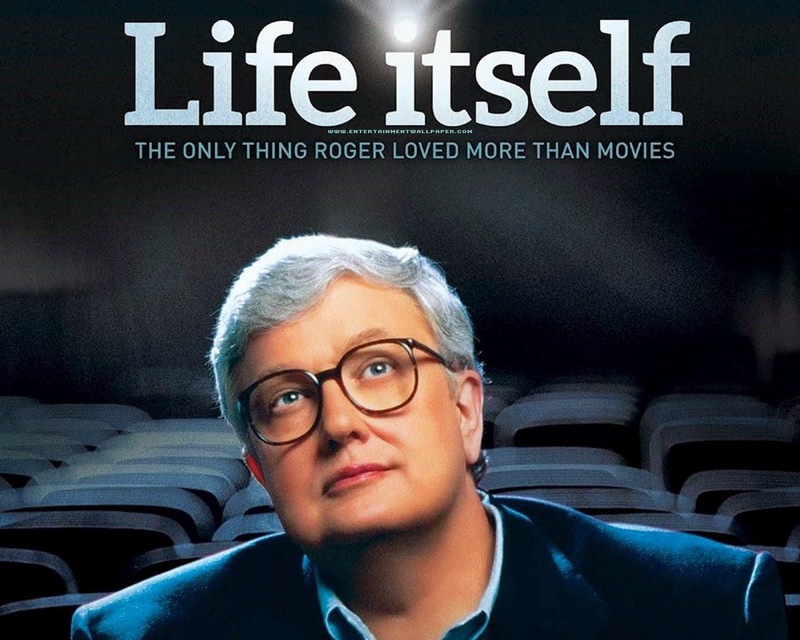 A deeply enthralling documentary on Roger Ebert that's essential watching for every Ebert fan! Having finally been able to watch this universally acclaimed and documentary Life Itself created by master craftsman Steve James (Stevie/Hoop Dreams), I now seem to have developed a new renewed appreciation for the Pulitzer prize winning film critic & commentator Roger Ebert, one of the very best film critics the world has ever seen. Throughout most of his life (and his former colleague Gene Siskel's life, as well) Roger and his famous thumb scrutinized much more than the films they reviewed. There was a time where their simple 'Thumbs up or thumbs down' could be a blessing or a curse to any given film on any given week. Roger and Gene became international celebrities and became their own business first on PBS in the mid 70's, all the way into the 90's with Siskel and Ebert and The Movies. Tragedy befell them both but not before their contribution to film and film criticism became monumental. It is true everyone is a critic in their own way. These two perfected it. Life Itself is a poignant look at Roger's life as a child growing up in Chicago, writing his own paper as a child all the way to his tenure at the Chicago Sun Times. He battled alcohol, fast women and his own ego for most of his adult life, but James shows that Roger, although flawed like all of us, was at his heart passionate about what he loved and hated - Cinema and he let the whole world know it, too. His famous feuds with Gene are the stuff of legends, for me. Its evident Roger was very smart, educated not only in books but in life. To him there were no limitations on anything and Life Itself touches on just how larger than life Roger became. Love him or hate him he was his own man; take it or leave it. I also appreciated just how smitten he was with his wife Chaz, who reciprocated equally. They were in love and made a wonderfully cute couple. Married one time at age, 50 Roger had found his soul mate in Chaz. She was with him when he passed playing Dave Brubeck as he gently into the light. Life Itself is a fascinating look into Roger's life and it was one filled with happiness, sadness, loneliness and triumph. He created film festivals in his own name for the films he loved. He was the only film critic to have ever won the Pulitzer Prize. Roger was an artist, writer of books about film,and some just about travel which he loved to do. Life Itself was shot mostly as Roger battled Cancer in the latter part of his life and it had tried its best to beat him down. He refused to go quietly and continued to write up until the last week or so of his life, when he became too weak.